According to Pompeo, in annexing the peninsula, Russia "acted in a manner unworthy of a great nation and has chosen to isolate itself from the international community." "Russia, through its 2014 invasion of Ukraine and its attempted annexation of Crimea, sought to undermine a bedrock international principle shared by democratic states: that no country can change the borders of another by force," the 54-year-old said in a statement ahead of testimony before the US Senate Foreign Relations Committee. "In concert with allies, partners, and the international community, the United States rejects Russia's attempted annexation of Crimea and pledges to maintain this policy until Ukraine's territorial integrity is restored." "The United States calls on Russia to respect the principles to which it has long claimed to adhere and to end its occupation of Crimea," he added. During his subsequent testimony to the committee, Pompeo said he was committed to working with Congress on new sanctions and that "there will be no relief of sanctions until Russia returns control of the peninsula to Ukraine." However, he did also indicate that the Trump administration wishes to restore relations with Russia, as a fellow nuclear super power. Pompeo reiterated that Trump's administration has been tough on Russia, recalling that it had approved $200 million for Ukraine in security cooperation funds. According to an earlier news release from the US Department of Defense, the funding will be for "additional training, equipment and advisory efforts to build the defensive capacity" of the country. 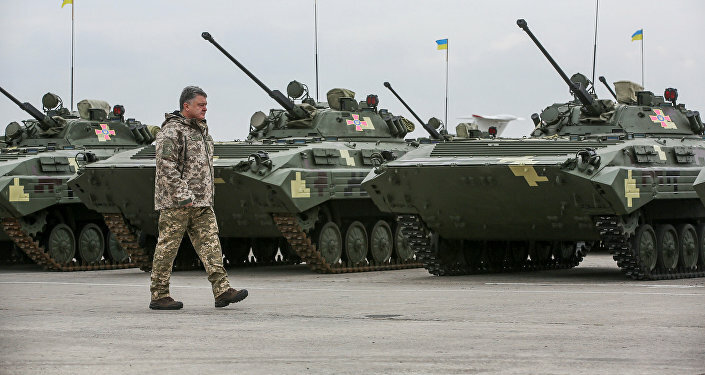 Since 2014, the Pentagon has given Ukraine more than $1 billion. A spokesperson for the Russian Foreign Ministry responded to Pompeo's remarks shortly after they were made, saying "we know the worth of such momentous declarations." The Trump administration has made several noteworthy withdrawals from international agreements and declarations, among them existing agreements like the Paris climate accord and the Iran nuclear deal and planned treaties like the Trans-Pacific Partnership. Russia accepted Crimea into the Russian Federation in 2014 after Crimeans voted in favor of joining following the ouster of Ukrainian President Viktor Yanukovych, which created a wave of fear in Ukraine's Russian-speaking population. Since then, critics have claimed that the referendum was fraudulent and have refused to recognize the results.